I’ve reviewed a few Raspberry Pi add on boards before, including the PiFace which includes a multitude of inputs and outputs, and the minimalistic LEDborg which has a very bright single multicoloured LED. 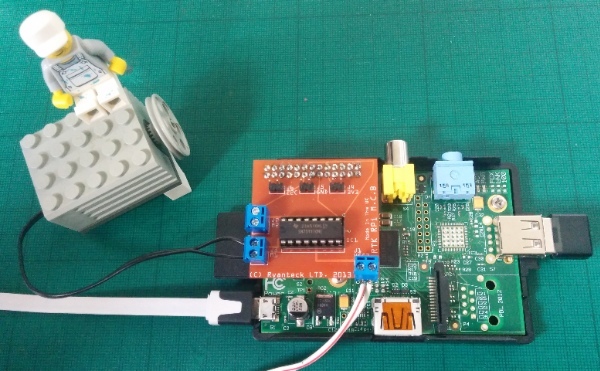 The Ryanteck Raspberry Pi Motor Controller Board Kit is a GPIO add on board that allows you to control 2 motors with your Raspberry Pi. Although it’s much simpler than the PiFace it’s cheaper (about £12) and is easy enough to assemble yourself. 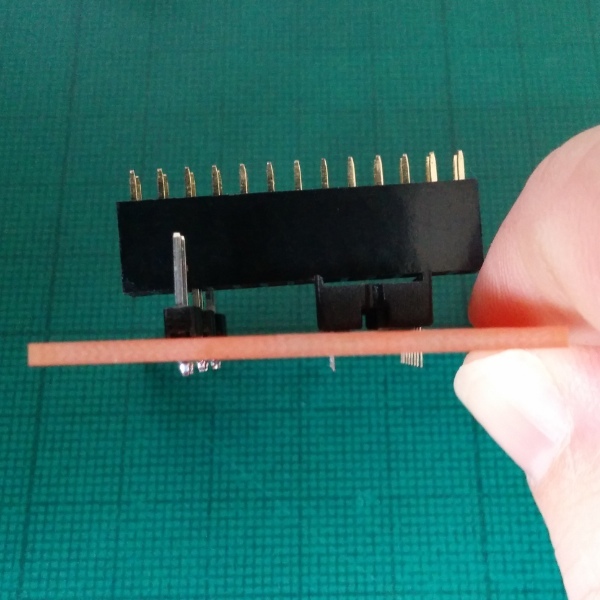 In fact it makes a nice introduction to soldering, and is an ideal project if you want to take the plunge and have a go at making your own hardware. 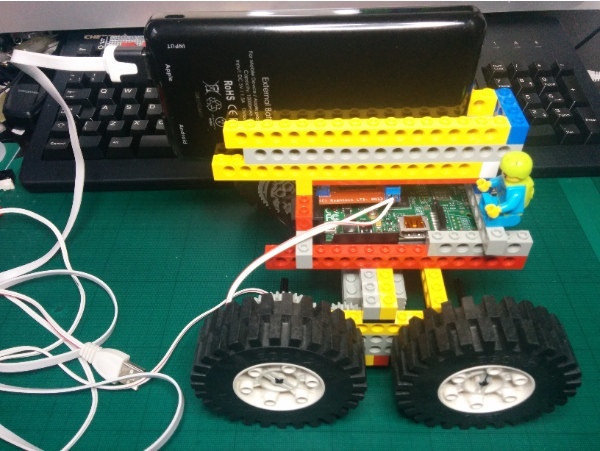 With the motor controller board you can build a simple Raspberry Pi based rover – you just need 2 motors driving side by side sets of wheels or tracks. Driving the motors in opposite directions allows you to turn on the spot. 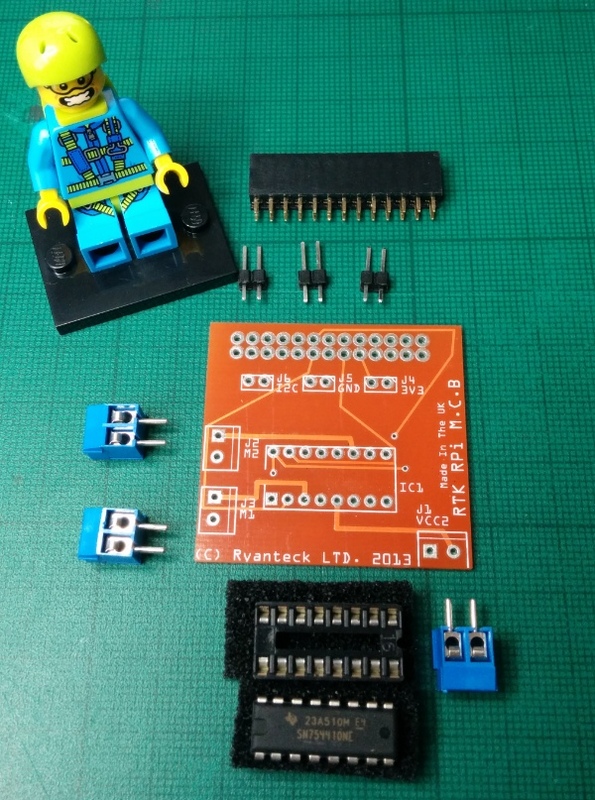 The Ryanteck board can control motors up to 12 volts to you could always re-purpose a toy or build your own. There’s some documentation available here, but I thought I’d share my build guide. If you’ve never soldered before check out the Soldering is Easy guide, and try to buy some leaded cored solder. Lead has (quite rightly) been removed from the solder used in commercial products to prevent it ending up in landfill when electronics are thrown away. However lead-free solder is much harder to work with (it’s fine if you’re a robot) and for hobbyist applications it’s easier to work with the leaded variety. Just make sure you don’t throw your electronics projects away once you’ve finished with them. 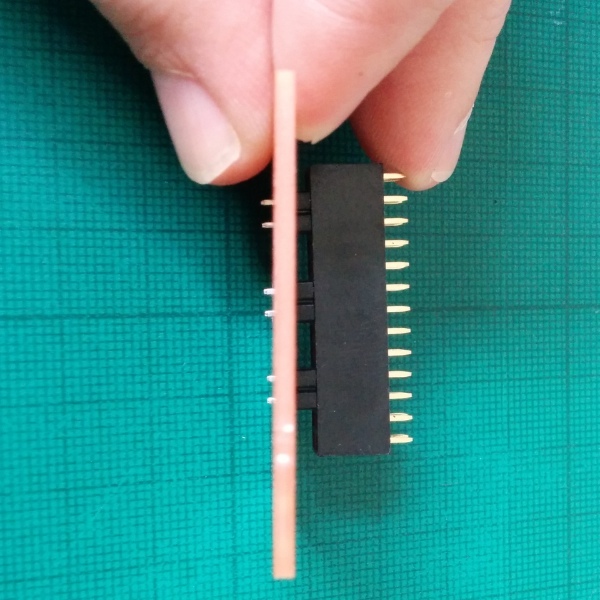 In the kit are 3 sets of 2 pin headers, 3 sets of blue terminal blocks, a GPIO connector pin header and a chip carrier and controller chip. The spacing is just right! Finally comes connecting it all up and testing. The board is rated for a range of motor voltages. Surprisingly as I seem to have a lot of Lego around I thought I’d test it with a vintage Lego technic motor. Lego motors come in different voltages – the very old ones are 4.5v and the newer ones tend to be 9v. My motor is 9 volts but I’m running it off a 5 volt USB power supply, which I’m using in my Lego rover project. The motor runs a bit slower but is fine for my purposes. Attach the power supply for the motor to the J1 blue terminal with positive on the left hand side. There’s a test program included in the instructions to switch the motor on, and change it’s direction for a set period of time. You’ll need to use sudo as you’re using the GPIO pins. 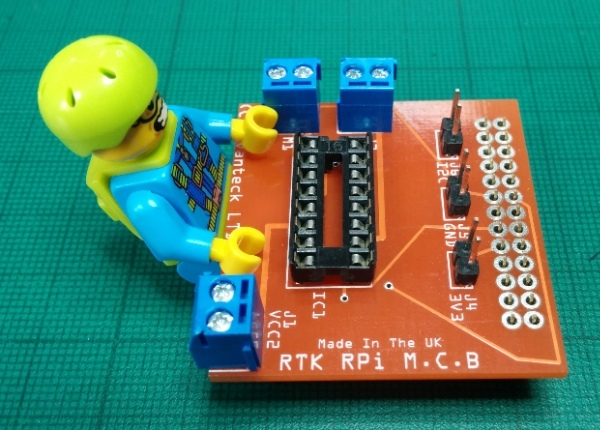 The Ryanteck Raspberry Pi board is a nice kit, easy to put together and get going straight away, and works with Lego motors so there’s quite a range of interesting things you can try. Ryanteck has now launched a complete robot kit that includes a chasis as well. For more info check out their GitHub project page. It’s a bargain way of making your Pi control things.